Sweet Cheeks Adventures: Trick or Treat with Hershey! Trick or Treat with Hershey! Trick of Treat!! Halloween is less than a week away and I know you are waiting until the last minute to get those goodies for your Trick or Treaters. At least, thats what I have to do. Otherwise, every single bite of chocolate would be in my body and I'd be back at the store, stocking up again. It's like a test, really.. You get all this Halloween candy and chocolate while you're at the grocery store, thinking "I'll just hide it until Halloween night." Does that really happen though? The trouble with this thinking is you're the one hiding and you're the one going hours later to find it and eat it. I've even hid in the closet away from the my children while sneaking those bites of a Reese's Peanut Butter Pumpkin. Oh, and licking my fingers so the dog wouldn't look at me like I'm guilty. I know I'm not alone in this. 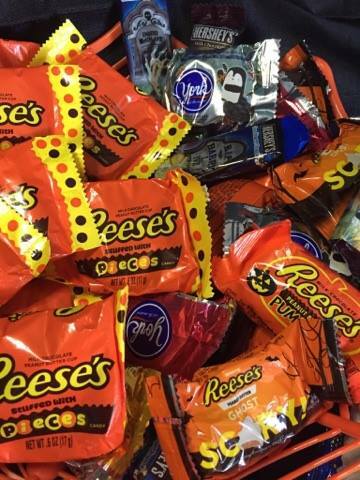 This Halloween, treat yourself and the little ones at your door with some Hershey! Pick your poison and know without a doubt that you picked the right one! You really can't go wrong with any Hershey Halloween candies. Grab a variety pack to keep everyone a little happy! Not sure what to do with the goodies once Halloween is over? Put those chocolate bites of heaven on a cupcake! You can't go wrong. 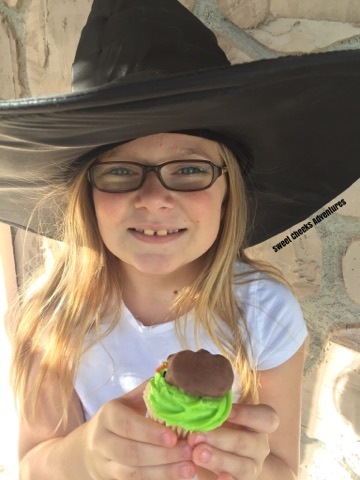 Allyson was really excited to see that Mom had put a Reese's Peanut Butter Pumpkin on her cupcake. Mixing Reese's with just about anything could get me extra Cool Mom points in her eyes. Of course I agree with her. Reese's and I... We have a very strong relationship! Happy Halloween! 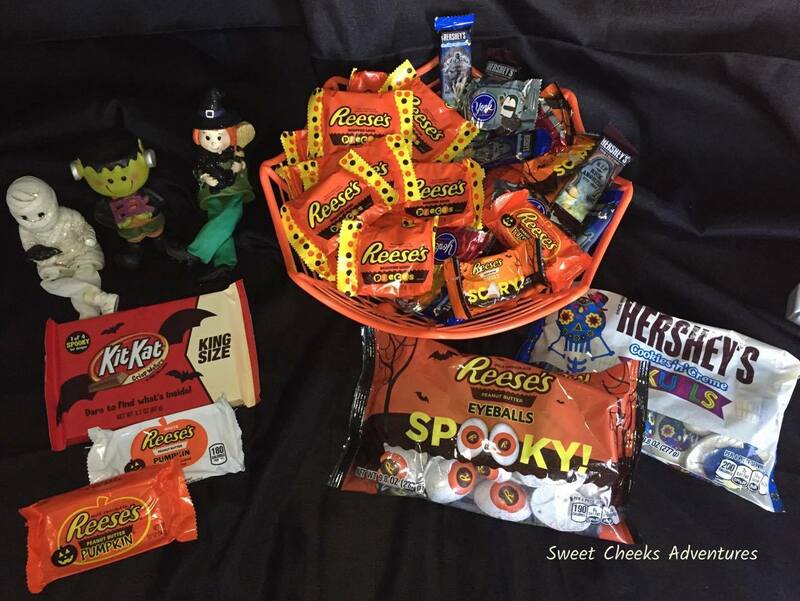 Maybe your children's buckets be filled with enough Hershey to last you through Thanksgiving. If not, be sure to swing back through your store and pick up a Christmas variety!